Many congratulations. And wonderful cake! Congratulations! Sounds like you have had an amazing time. The cake looks beautiful. Congratulations, It’s a lovely picture, it captures so much! Glad you had a wonderful honeymoon, what a perfect way to start the rest of your lives! Many congratulations! Love the cake and can’t wait to hear all about it. And I love the bird – my boyfriend has exact same glasses! what a beautiful cake! glad to hear you enjoyed your honeymoon! Congratulations and lovely photograph, says it all! Awwww welcome back! Love that pic! Some of my favorite pics are blurry but I’m just happy to have them. 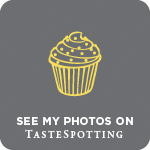 Just wonderful and I’m so glad you said sticky chocolate sponge – now I know it’s really good. Welcome back Kate! 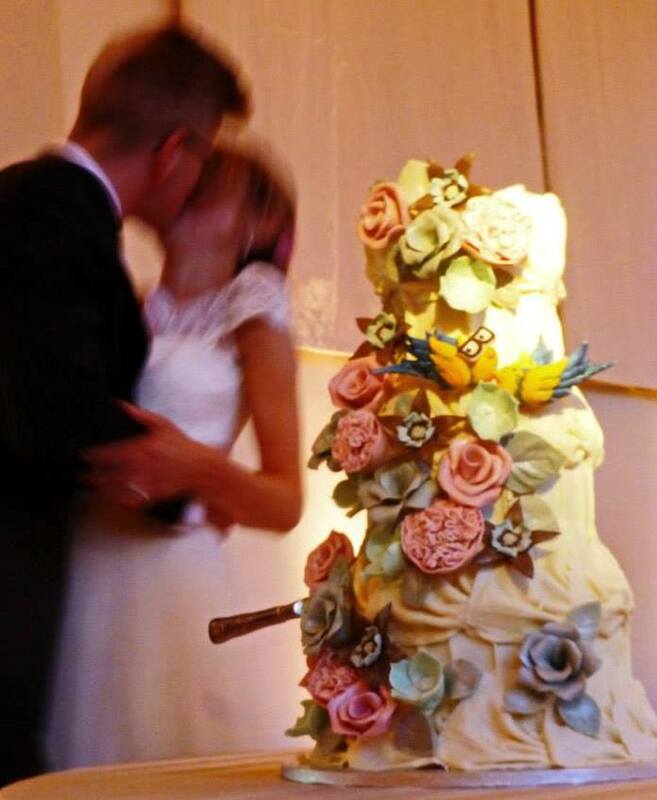 Awesome cake, the love birds were so cute – very clever! What a gorgeous cake! The bird with the glasses is adorable! I hope you had a wonderful time on your honeymoon and are having fun settling into married life. Grats again and loving the love birds! I’m glad your time in Bali was fabulous. A perfect place for a honeymoon in my mind. And it’s so nice to hear that you are savoring this time. Enjoy. Congratulations! The cake looks so fabulous! Congrats, that’s a lovely photo of the happy couple + cake, and you’re right, all you need are love and cake. The cake is great. Elegant yet personal and fun at the same time. And the flavor sounds wonderful. Congratulations again to you and yours! I think I mentioned this to you on some other social media channel, but your dress is stunning—I love it. Love, Love, Love! Congrats again:-) I hope we get to see more wedding pictures!!! Oh this photograph is just perfect. Can’t wait to hear all about it.